What if political rhetoric is unavoidable, an irreducible part of politics itself? In contrast to the familiar denunciations of political horse-trading, grandstanding, and corporate manipulation from those lamenting the crisis in liberal democracy, this book argues that the "politics of politics," usually associated with rhetoric and sophistry, is, like it or not, part of politics from the start. Denunciations of the sorry state of current politics draw on a dogmatism and moralism that share an essentially metaphysical and Platonic ground. Failure to deconstruct that ground generates a philosophically and politically debilitating selfrighteousness that this book attempts to understand and undermine. 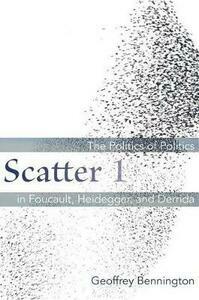 After a detailed analysis of Foucault's influential late concept of parrhesia, which is shown to be both philosophically and politically insufficient, close readings of Heidegger, Kierkegaard, and Derrida trace complex relations between sophistry, rhetoric, and philosophy; truth and untruth; decision; madness and stupidity in an exploration of the possibility of developing an affirmative thinking of politics that is not mortgaged to the metaphysics of presence. It is suggested that Heidegger's complex accounts of truth and decision must indeed be read in close conjunction with his notorious Nazi commitments but nevertheless contain essential insights that many strident responses to those commitments ignore or repress. Those insights are here developed-via an ambitious account of Derrida's often misunderstood interruption of teleology-into a deconstructive retrieval of the concept of dignity. This lucid and often witty account of a crucial set of developments in twentieth-century thought prepares the way for a more general re-reading of the possibilities of political philosophy that will be undertaken in Volume 2 of this work, under the sign of an essential scatter that defines the political as such.